. Published on 08/03/2018 . You really can’t beat a flavoursome homegrown tomato…In this week’s episode of our ‘How To Garden‘ series Ellen shows us how to sow tomato seeds ready for a bumper harvest. Growing from seed is a great way to experiment with new and different varieties. 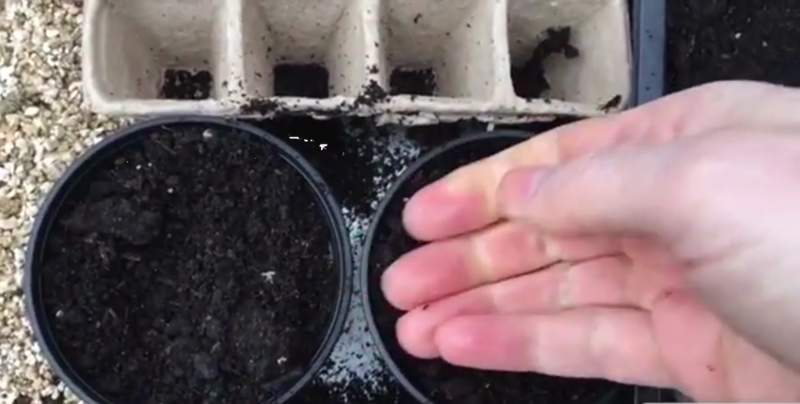 In this episode, you’ll learn how to sow your tomato seeds. Make sure you have some pots or containers ready and some good quality compost (preferably organic). You’ll also need something to label your pots with like some old lollipop sticks. Thanks Ellen. We’re learning so much from your instalments of the How To Garden series. We especially like your tips and advice on how to grow organically. You’ve made us realise that it really isn’t difficult to grow organically it just takes planning and a little bit of patience to have chemical free and very tasty produce. If anyone else has any tips or advice on how to sow tomato seeds then please pop them in the comments box below or better still download the free GardenTags app and tell our growing community of passionate gardeners. Here’s the official disclaimer bit…The views, opinions and positions expressed within these guest posts are those of the author alone and do not represent those of GardenTags. The accuracy, completeness and validity of any statements made within this guest blog post are not guaranteed. We accept no liability for any errors, omissions or representations.